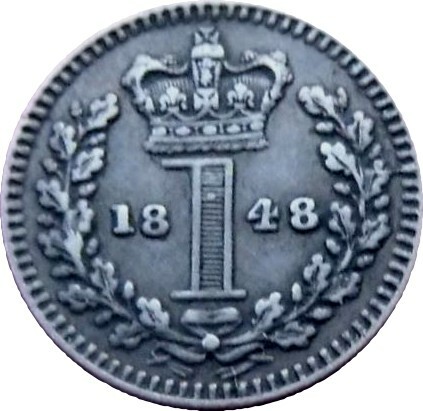 The young head penny was 34mm diamiter, YH 1ds were issued over a twenty one year period including 1839 (proofs only) & in total seventeen different dates occour. 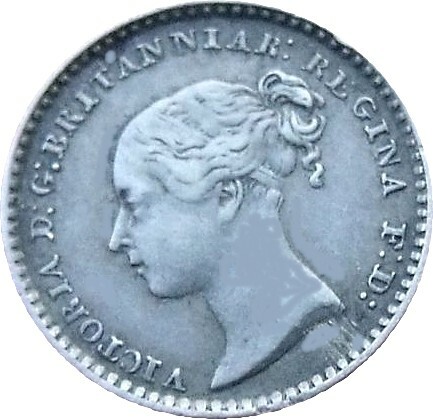 The highest mintage was is 1854 when 6,720.000 were struck, but this is by far the highest & overall considerably lower mintages occour. In the final year (1860) just 32K were issued. In total over 21.23 million coins were issued. 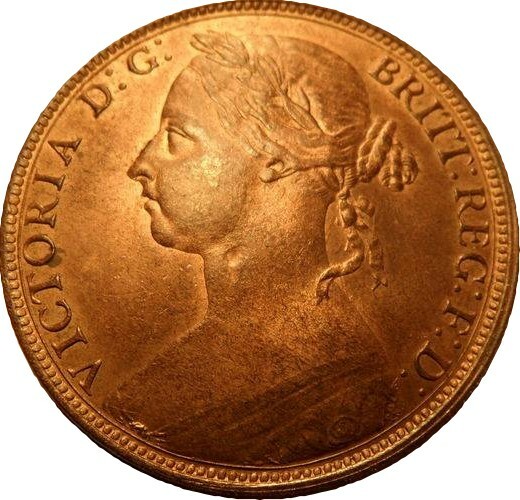 This compares to later post-victorian penny dates for example 1917 when 107.9m were issued. Experienced collectors will be aware that Numerous varieties occour in this series such as ornamental trident, spaced colon etc. 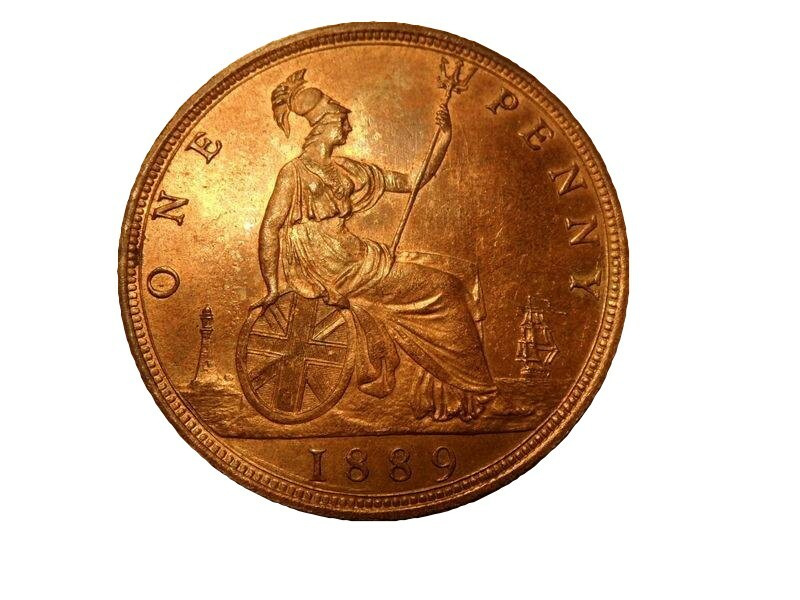 In 1860 a new bronze penny (plus halfpenny & Farthing) coinage was introduced. This issue was of a much lighter type & of 31mm in diamiter. 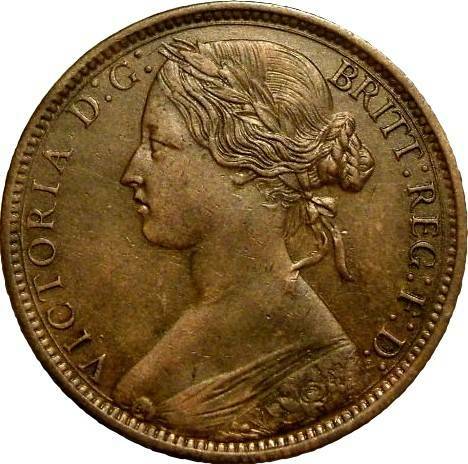 In 1895 the last series of the bronze penny, designed by Sir Thomas Brock 1847 - 1922 was introduced. 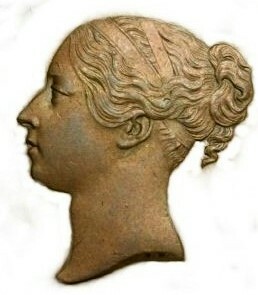 By this time Victoria was in her seventy-sixth year & had been widowed for fifteen years, this final bronze coinage portrait is often referred to as the widow or also simply 'Old' head. By and large the mintage figures tend to be higher for this series than the earlier 'Bun' pennies. 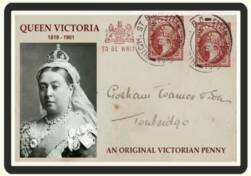 Some varieties occour & in total the series lasted for seven years, 1895 until 1901 when the great victorian age ended with the queen's death in january of that year. Historical commemorative display card with an original Old Head Bronze penny, A printed & Laminated card commemorating the Great monarch. the sun never set. 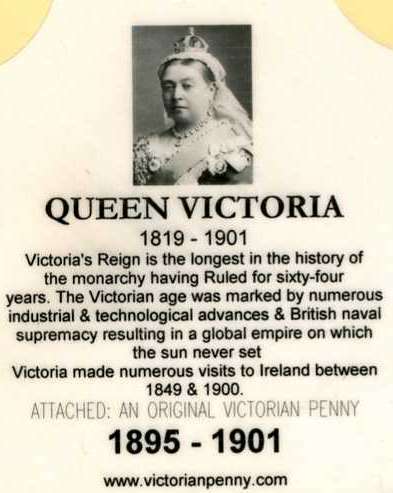 Queen Victoria made numerous visits to Ireland between 1849 & 1900.